Week commencing the 22nd Oct the tides were turning to springs. 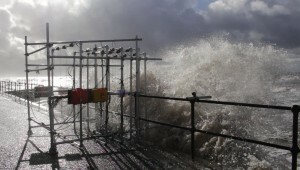 With a persistent West/North West wind on the forecast from Monday afternoon, the end of the week looked like a good opportunity to test WireWall in calm overtopping conditions. The NOC electronics team travelled up from Southampton on Monday to join the mechanical engineers in Liverpool. 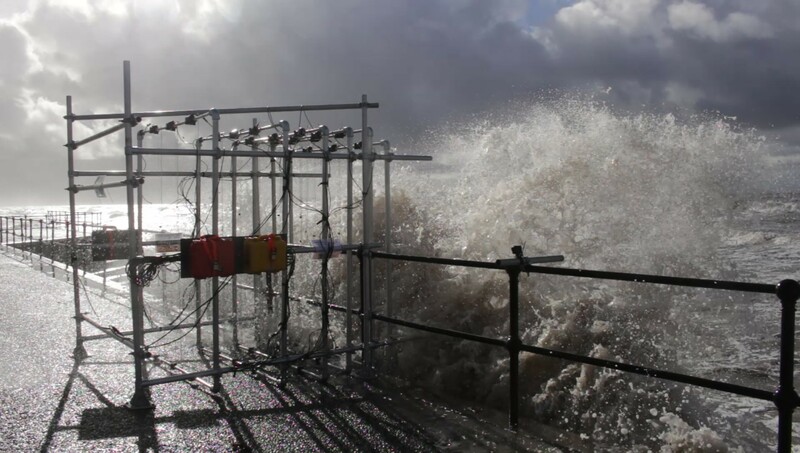 The system was calibrated in the Liverpool lab on Tuesday and set up at Crosby on Wednesday to collect data during the midday high waters on Wednesday, Thursday and Friday. to see photos from the day and the word clouds that are being generated to capture the knowledge transfer. ← Closed – consultation on proposals to ban the distribution and/or sale of plastic straws, plastic – stemmed cotton buds and plastic drink stirrers in England.